Do you ever get frustrated with all the labels at the grocery store? Stuck trying to decide between Non-GMO, Organic and natural products? It’s a problem that our guest today works to solve. 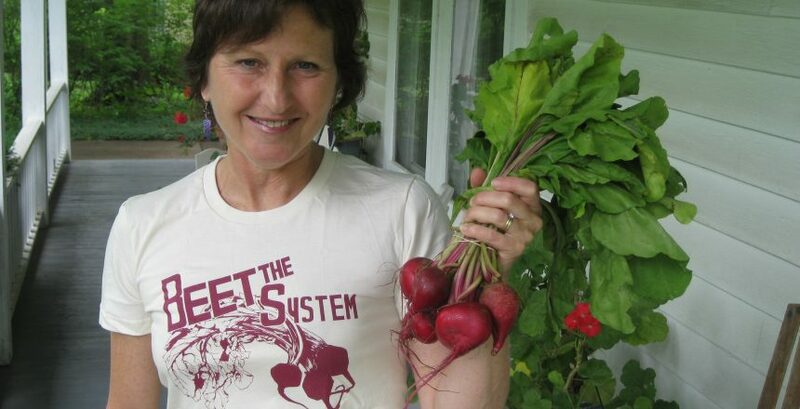 Melinda Hemmelgarn is a registered dietitian, food advocate, and host of the Food Sleuth Radio show. We have a great conversation, covering what a dietitian does, how she became involved in sustainable agriculture, how to cut out the “green noise” and much, much more. You don’t want to miss this interview with Melinda Hemmelgarn. Determining food truth requires cutting through the “green noise,” and the multitude of labels in the marketplace. The Precautionary Principle is that when there is a doubt of any kind, or a lack of sufficient data to determine the outcome, you proceed with caution. Food system literacy is a bundle of different literacies (environmental, agricultural etc), and applying critical thinking to your food and how it’s processed and grown. Among the common misconceptions for consumers in the market place are not only GMO’s, but the “natural” label also. Simple starts to improving your diet: 1. Learn to cook, 2. Grow your own food, 3. Reach out to local farms in your community. Cooking, and sharing a meal is a powerful experience, connecting you with your guests and the food.